From afar, many wedding dresses may appear the same. On closer inspection, though, it become clear that the fabrics used to construct these gowns can vary widely in their look, feel, and support. 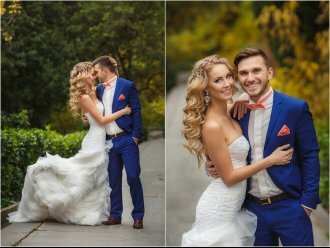 So before making plans to design your own wedding dress, it is important to understand the differences between different kinds of wedding fabrics available in San Francisco. Given its transparency, lace fabric is typically a material used in conjunction with other bridal fabric . Lace can come in a myriad of designs, and on many wedding dresses, it takes a central focus. 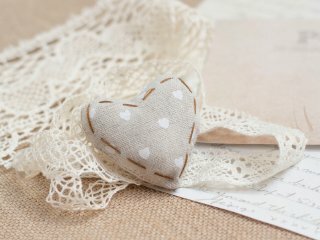 As a result, lace should be paired with another wedding fabric that can ably support it. 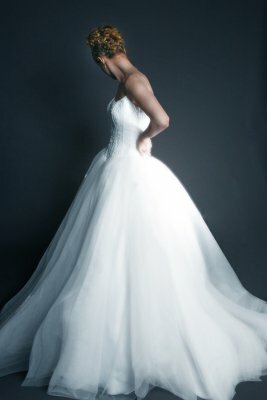 Do you want a voluminous wedding dress? Then you may want to look into your organza options at your nearest fabric store in San Francisco. Organza is a stiff bridal fabric that can add volume to the skirt of your wedding gown. Some people might be surprised to learn that organza is a type of silk, which normally drapes the silhouette. Satin is another wedding fabric that originates from silk. Unlike organza, satin is normally not hidden under other bridal fabric. Because of its gorgeous luster, satin is a popular material for the main construction of a wedding gown. It also is a highly versatile fabric that brides may use for their dresses regardless of season. Yet another derivative of silk is taffeta. Like organza, taffeta is a highly structured material, making it an ideal bridal fabric choice for brides who want ample support for their wedding gowns. Similar to satin, though, taffeta typically exhibits a high sheen. Rather than create a wedding dress made of satin with an organza underskirt, some brides might opt to make a taffeta gown because this singular material features the characteristics of these other fabrics. 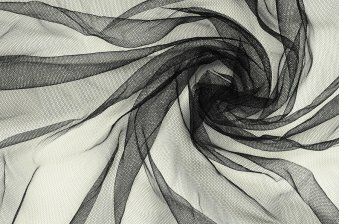 Tulle is a fine mesh net fabric most commonly used to make wedding veils and embellish wedding gowns. Tulle can be made from a variety of natural and synthetic fibers, including silk, nylon, rayon, or cotton. Tulle comes in every color of the rainbow to suit any fashion or decorating project, including evening gowns, costumes, hats, lingerie, window treatments, and floral arrangements. The fabric is named for the city of Tulle, France, where it was first made. This versatile fabric first became associated with weddings when Queen Victoria used it to create her bridal gown in 1840. Visit a fabric depot in San Francisco to see all the varieties of tulle available for your fashion or decorating project. If you are shopping for wedding fabric, look for discount fabrics to save money on your big day. 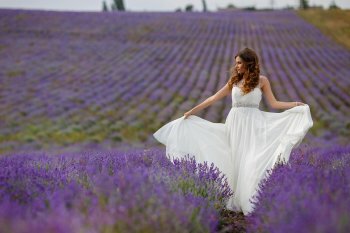 Get Ideas for Your Wedding Dress with This App! With so many amazing wedding fabrics available at the fabric store, there is no need for you to buy a pre-made dress. Use the Wedding Dress Designs app to gain inspiration for fabrics and silhouettes so you can create your dream bridal look. This app lets you scroll through pictures of dresses, save images that you love, and get notifications when there are new pictures added. With the help of this app, you can decide on the features that you must have in your dream dress. Use helpful resources like the Wedding Dress Designs app to help you get an idea of what you want before you go to the fabric store in San Francisco. Gaining inspiration for your dream dress makes it much easier to create it.